It's very quiet on here , have we run out of topics ? Thought this for a while. You get a little burst of activity after match days, then very little. The Combo/ECPL section usually feels busier than the NLS, WL and SWPL bit. Possibly quieter than it used to be because originally good intended threads are taken over by people either moaning or being destructive. Yes some of it's getting tiring and boring. Banter is good but some goes too far and gets insulting. However, I think it will pick up again, it goes through quiet periods - not usually as the season's end approaches though. Come on folks, it's still a great game - what would we do without it ? ! I think this season has been one just to pass time until the new structure comes in. Weve got divisions short on teams while others are full. It feels like everyone is waiting to start next season already once we know exactly what is happening. I'm not waiting for next season...I'm waiting for this one to finish! Have a bit of a rest. Feels a bit like that, almost as if this season should have an asterisk alongside it in the record books. 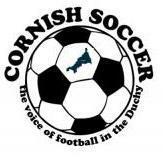 The first half of the season felt like it was all about the exploits of the Cornish sides in the Vase with the successes of St Austell, Falmouth and Saltash providing plenty of traffic. Wonder if none of these teams subsequently seriously competing for the SWPL title has taken the edge off. This season is finishing particularly early as weather has been good. Totally agree - There’s actually very few informative or constructive posts anymore! While it may be true for some, surely it's a massive generalisation to say everybody is just playing out the season, can't wait till next season, just passing time etc etc. It's easy to knock local footballers but most provide lots of entertainment and generally do their best for their club. Lots of them may well get paid but far, far more don't; on the contrary, they pay match fees. Many teams (not just the one I support) have lots still to play for and no doubt there will still be twists and turns, triumphs and disappointments. I'm too busy these days so really do struggle to visit the forum and take part in topics. However, I do agree with others when it comes to topics being taken over by constant bitching and quite frankly, ridiculous comments. A shame really. I suppose ''bitching'' is all part of any forum, but it does get a bit much at times. I think the saddest thing is that the "bitching" is all that some write on the forum! The forum is merely a reflection of today's society. No one is allowed to say anything anymore in case you upset some poor little soul...snowflakes comes to mind. Take it, deal with it, get over it....sticks and stones..all of it. But I also have the right to say I don't like it...that is what they cannot handle. You're spot on as usual older. It seems no body must be offended these days - which means that certain individuals can be offensive to decent society - by what they are, or the way they live but - we must not say so for fear of upsetting them. And of course moral values are not to be talked about - if you do, some individuals will quickly say - but what right have you got to try and force your values on others ? Sad times. Back to the football. Team games are healthy in my book - but then, some body will say we must not have such competitions because of the mental damage caused to a losing team or person. Utter tripe in my book. We were taught to be good losers and, to use that defeat to make you a better player/team next time. That is why in youth football everyone gets a medal...ridiculous. Shouldn't even be in organised sport at those ages. Back to 20 aside and jumpers for goalposts in my book. Just might get them wanting to play mens football again. Jumpers for goal posts that takes me back. 20 aside blimey, half the time we barely had eleven. Played many games with eight or nine - but thoroughly enjoyed every minute and went home filthy dirty - ha ha ! Haha, we were 20 aside for the first half in the morning, same again in the afternoon, then the last half in the evening until dark! When we reached 15 we entered the league and could not wait to do so. That desire to play league footy has been taken away, they've already had 10 years of organised football. I doubt that those days will ever return older. Some today might say that they were part of the '''bad old days''' but no, they were the good old days - days when most of what was done was very good. There was little to distract then, parents brought their children up to respect the law and to take a pride in ones self. To better yourself and to be good neighbours. You hit the nail on the head there Keith. Distraction. Today there is so much more to do today, can't blame the kids as we never had those options. A lot of pressures on the youngsters of today, I always say to them about the inventions in my lifetime, they are gobsmacked at what we never had. Here's 3...the refrigerator, the jetliner and the TV, make that 4...the mobile phone. All amazing when they came out! I too fondly remember those halcyon days as an seven year old playing 15 a side with much older boys. In one game I actually got to touch the ball when the size five caser ricochetted inadvertently into my face. Nobody ever passed to me and I was far too small to tackle the teenagers but just being there made me what I am today and definitely helped develop my footballing skills in much the same way as walking around my big brother's snooker table greatly improved my potting ability. And the full-sized goal posts we used were a real boon to my confidence as I loved being shoved between the sticks too, content in the knowledge that, within only a matter of ten short years or so, I may actually be able to reach some of the shots. Ah, the standard was so much better back then too! How else can you explain Stanley Matthews still playing at 50? And you only have to look at England's fantastic record in the World Cup over the years to see that the current penchant for smaller pitches, smaller goals, smaller balls and playing with and against your peers is deeply misguided. Father bought a TV a week or so before the Queen's coronation. We had a day off school to watch that (can't remember if it was a Bank Holiday). About a year after that we had our first telephone. I remember dad making his first phone call - to mum's sister, just so she could ring us back to prove it was all working ! Ha ha. My word what advances we've seen since those days. Yes Darin and we were much fitter in those days, far more so than the kids are today. We walked everywhere as kids, and only went by bus if we were with mum and dad. Had my first bike at age 8 and got and rode a bigger one as a teenager, and rode that to my first job. Twelve miles to work on a building site and twelve back of course, in all weather. In my late teens, my first serious girlfriend lived twelve miles in the opposite direction from my home and, if I missed the last bus home (around 11pm) I walked and ran home - you know Indian fashion - walk a hundred, run a hundred. Blimey I was fit in those days. Not like now - I can drive my car in a strait line - but I can't walk one.